Dryopteris wallichiana forms an upright clump of triangular green fronds. Black stems provide an interesting contrast to the green leaflets. New fronds in spring are covered in maroon hairs. Also known as Waliich's Wood Fern. 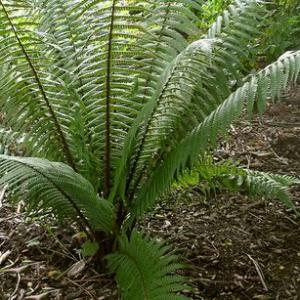 Plant in part to full shade, moist well-drained soil. Once established it will reach a height of 120cm x spread of 120cm. Semi Evergreen. Plants supplied are in 9cm pots.